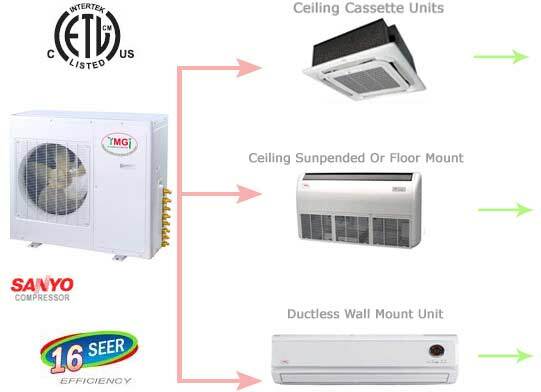 Dual Air Handlers Mount on Ceiling or Floor. 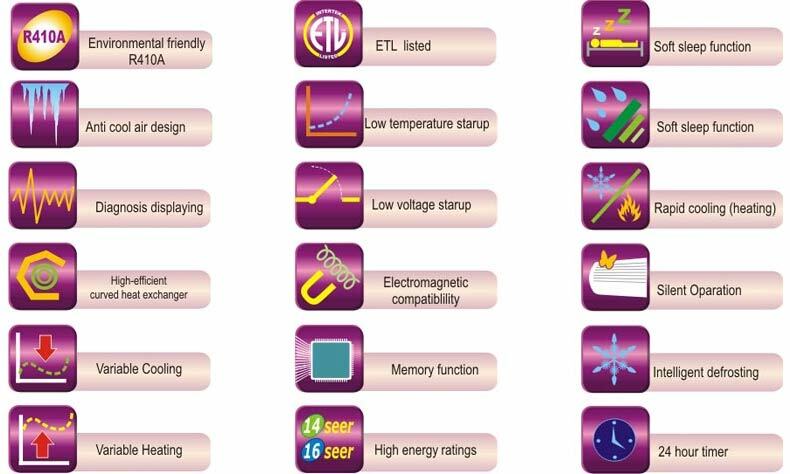 INVERTER DC TECHNOLOGY: 16 SEER. Washable Filters - Biologically Active Enzyme. Low Startup Temps - MAXIMUM EFFICIENCY. 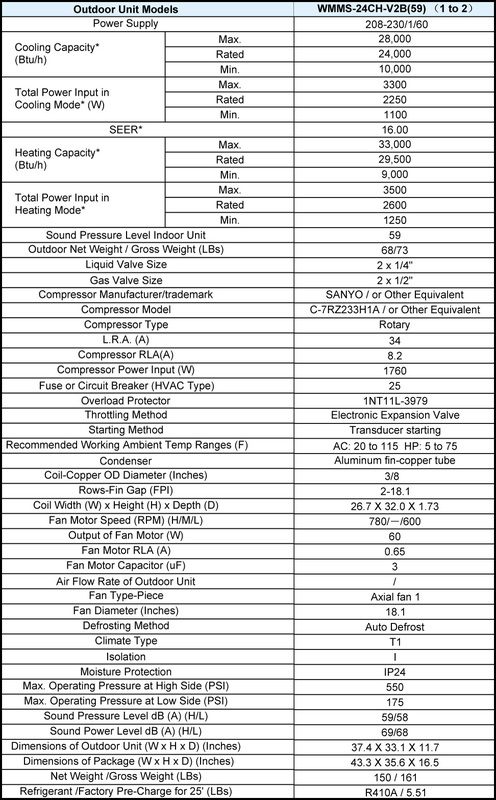 Pre-charged w/ R-410A Freon For 25' [x2] of Piping. Sleep Mode - 24 hour ON/OFF Timer - Memories. Enhanced Copper Coil - Wide Angle Air Spread. Flexible, Quick Installation - Easy Operation. 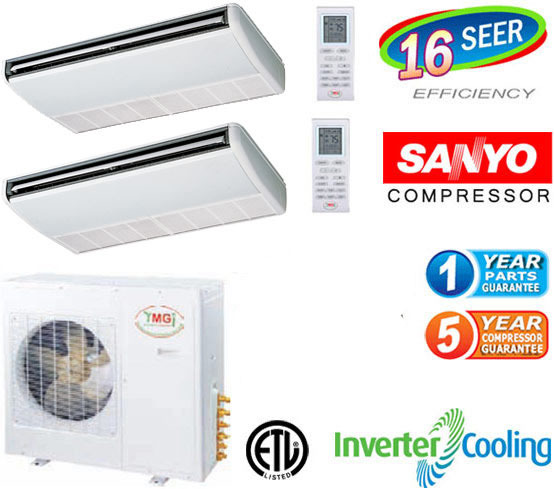 DC Inverter Air Conditioners are the ultimate cooling technology of the HVAC field. They are called "DC inverter" because the alternative current (AC) is converted to Direct Current (DC) then, direct current inverted back to Alternative current with desired frequency. 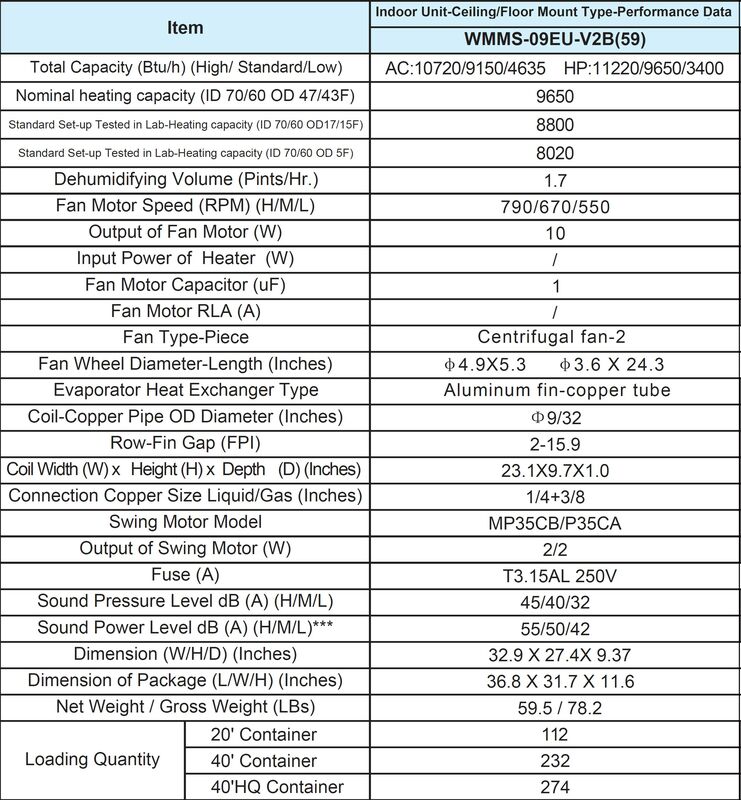 The current supplied through the wall outlet has fixed frequency which is 60 Hertz. 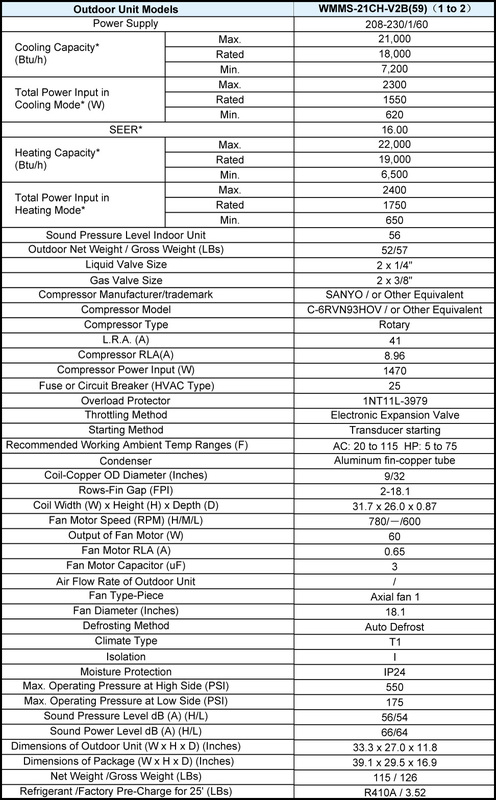 Different frequencies supplied to the compressor will result in different running speeds of the compressor. Inverter control systems use Pulse Amplitude Modulation (PAM) that is the most advanced and energy efficient method of inverting the current. DC Inverter AC's bear special compressors that their speed could be changed by increasing or decreasing the frequency of the supplied power. 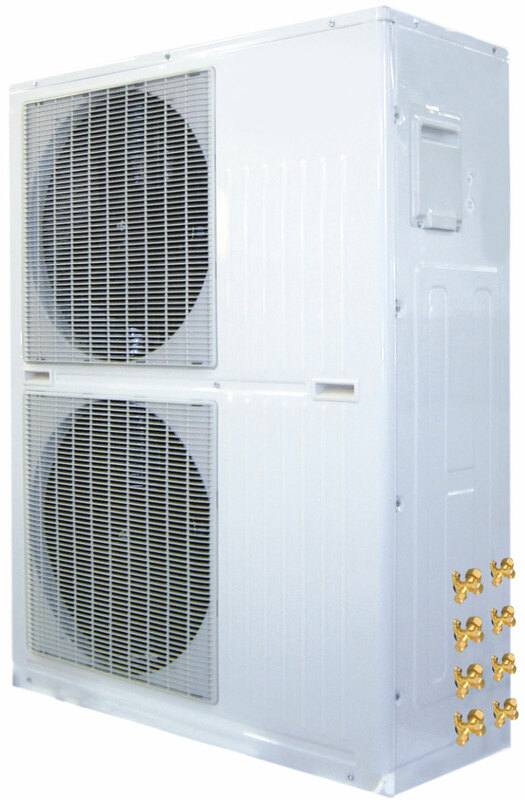 Therefore, unlike conventional split Air Conditioners Pumps which cycle between on and off repeatedly, the DC Inverter control system will monitor the room temperature and adjust the compressor speed automatically. 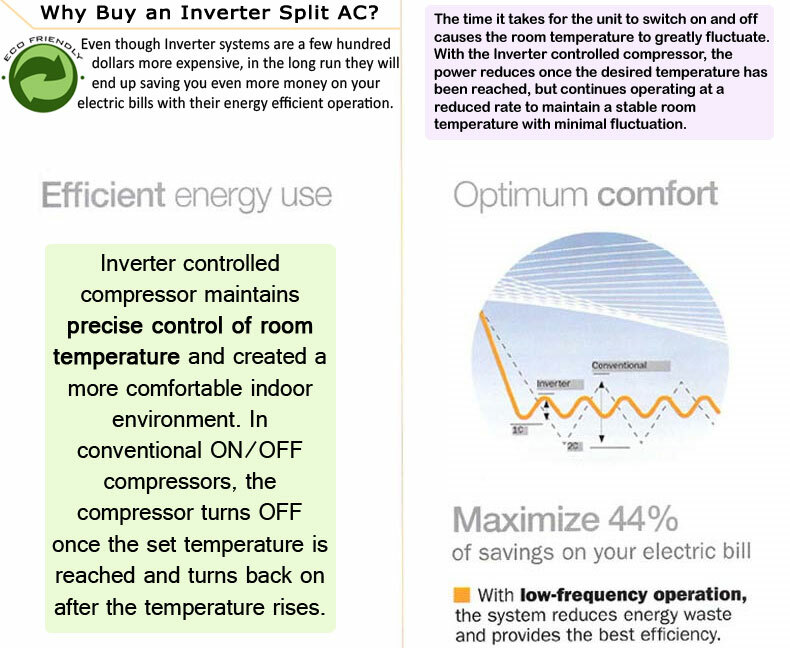 Conventional compressors turn on and off to maintain the room temperature at desired level. This will result compressor to draw tremendous energy each time it starts up. 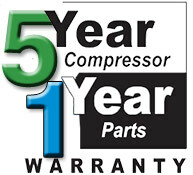 This will also reduce the life-span of the compressor and other components that are turning on and off. Once a conventional system is running, it runs at its maximum speed, consuming the maximum amount of energy in order to produce the maximum of cooling to maintain the desired temperature. The system will then cycle between on and off in an effort to maintain this temperature. When a DC Inverter compressor initially starts up, it runs with a higher speed to bring the room temperature to desired level rapidly, Once the set temperature is reached, it slows down and adjust its capacity just to counter the heat loss or heat gain of the building. Constant temperature is maintained. These multi-zone mini split units ship out of Missouri via YRC Freight or via a similar freight service, and under normal conditions, are loaded and in transit within 2 business days from payment receipt. Depending on where you are geographically located, transit time from this point varies, but typically amounts to 2-5 business days. Please provide a contact phone # upon checkout where recipient of order can be reached. SOMEBODY MUST BE ON SITE TO ACCEPT / SIGN FOR Order. 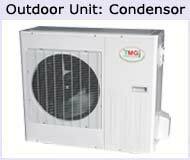 This unit can only be shipped to addresses within the Contiguous USA (lower 48 states). Copyright © 2003-2017 Thermospace Inc.